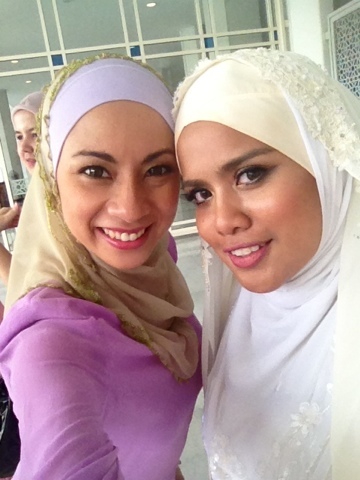 Congratulations to my dearest Wawaaaaaa! 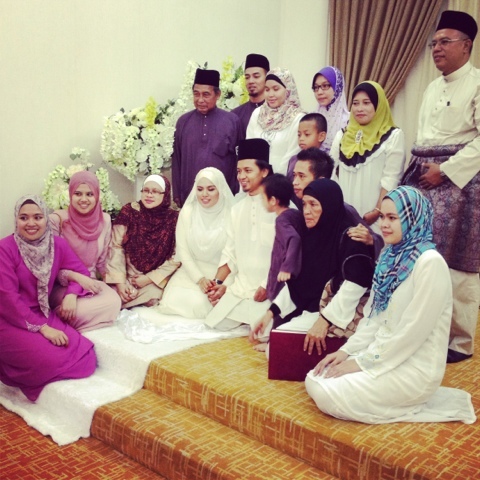 Alhamdulillah, finally she found the right man to take care of her, InshaAllah for the rest of her life..amin. We're so happy for you waaaa! 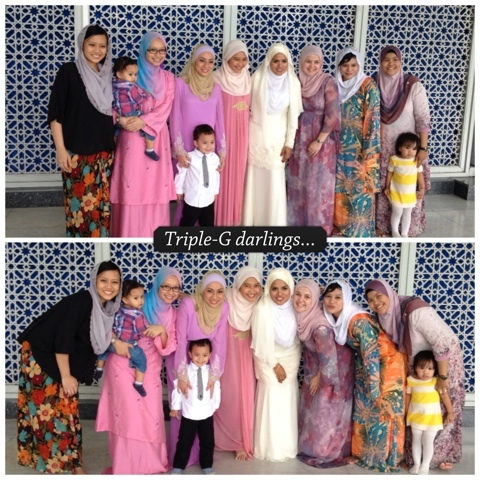 With the TRIPLE-G family right after the akad nikah, at Masjid Shah Alam. 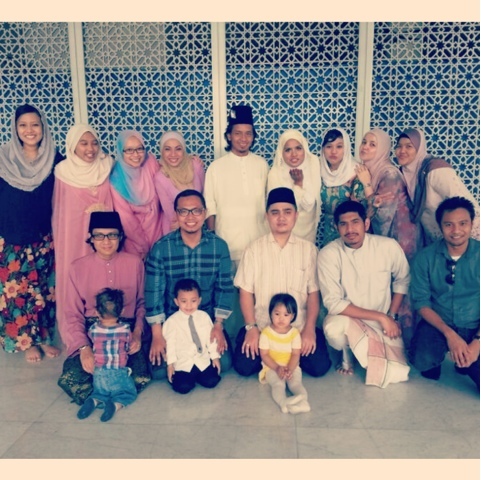 All of us are now happily married and most of us with 1-2 kids already. Bila berjumpa sekali sekala, can't get enough pictures! 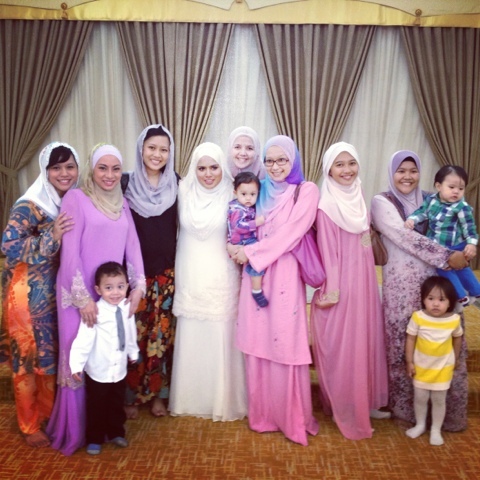 Dah puas, with the girls..
barulah jemput husbands masing-masing. 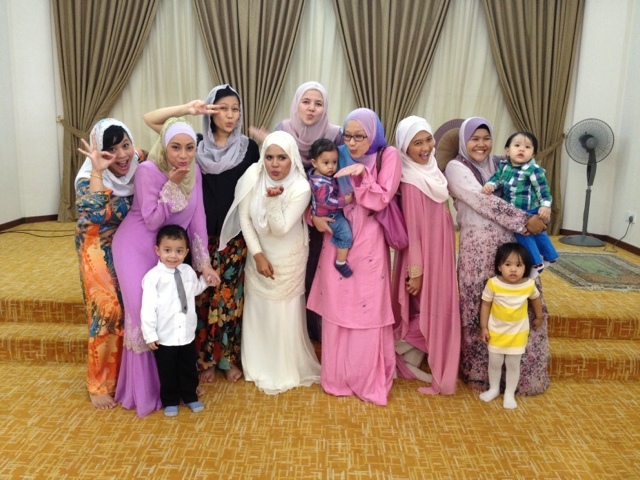 hehe..
ALL THE BEST TO THE NEWLY WED!